ERIC CHURCH WILL PERFORM “THE SNAKE” ON THE ACM AWARDS. Eric Church is performing “The Snake” on Sunday night’s ACM Awards. The song, from his latest album Desperate Man, was written about what is going on in the world of politics today. Eric, who is making his way up the country charts with his latest song “Some of It,” takes his Double Down Tour to Dallas next weekend (April 12th and 13th). Audio / Eric Church talks about the song "The Snake," which he will perform on this year's ACM Awards. ERIC CHURCH WILL PERFORM “THE SNAKE” ON THIS YEAR’S ACM AWARDS. It was revealed on Eric Church‘s socials he will be performing “The Snake” from his current album, Desperate Man, live on Sunday night’s (April 7th) ACM Awards. Watch the lyric video of “The Snake” below. DIERKS BENTLEY AND ERIC CHURCH ADDED TO THE LIST OF PERFORMERS AT THE ACM AWARDS. The second round of performers for this year’s ACM Awards have been announced. 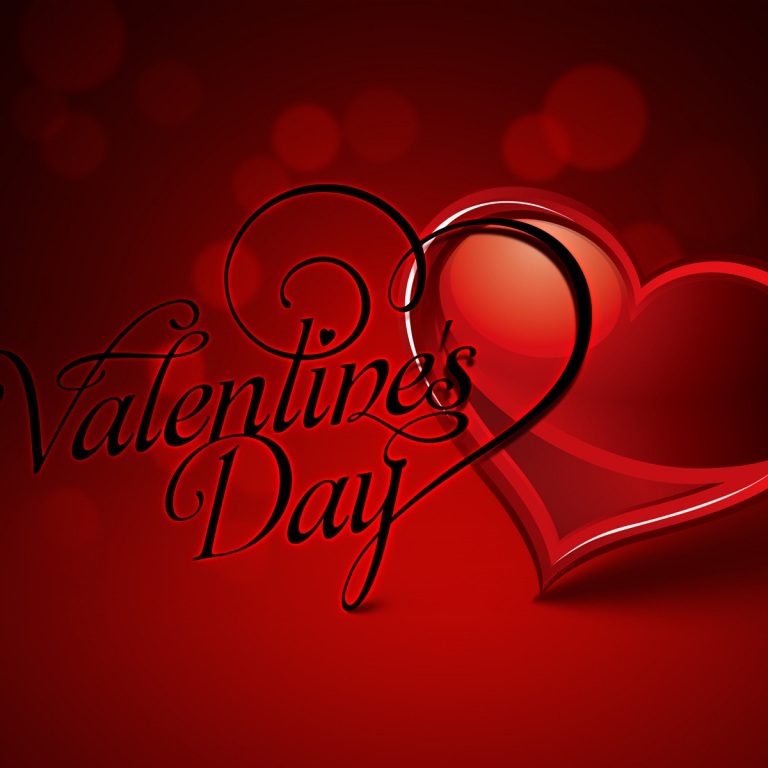 Dierks Bentley and Eric Church have been added to the list of performers, along with Brooks & Dunn, Brandi Carlile, Kelly Clarkson, Luke Combs, Dan + Shay, Florida Georgia Line and Ashley McBryde. They join previously announced performers Brothers Osborne, Chris Stapleton, George Strait, Little Big Town, Reba McEntire, Maren Morris, Thomas Rhett, Miranda Lambert and Kane Brown. Eric Church is nominated in the Album of the Year category for his recent collection, Desperate Man. Eric who has seven ACM Awards to his credit, last won the Album of the Year category in 2013 with Chief. The North Carolina native is making his way across the country with his Double Down Tour, which include his next stops in Chicago, Milwaukee and Dallas. Additional acts and presenters for the ACM Awards will be announced in the coming weeks. The 54th Academy of Country Music Awards, hosted by Reba, will air live from the MGM Grand Garden Arena in Las Vegas April 7th at 8pm ET/delayed PT on CBS. ERIC CHURCH DOUBLES DOWN ON HIS TOUR STOP IN GREENSBORO. Eric is climbing the country charts with his latest song, “Some of It,” which is from his Desperate Man album. Eric takes his Double Down Tour to Chicago and Milwaukee next. 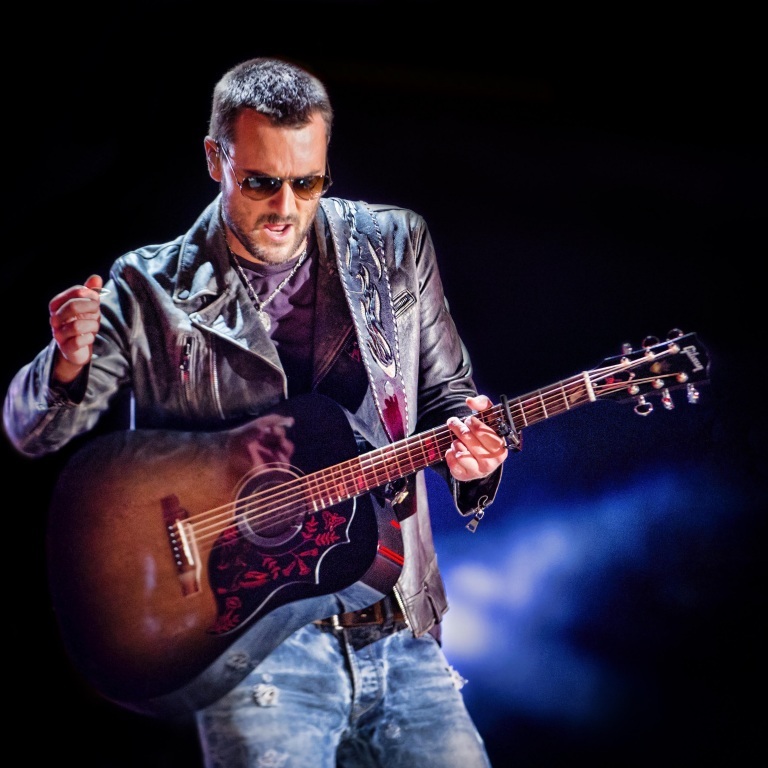 ERIC CHURCH EXTENDS HIS DOUBLE DOWN TOUR. 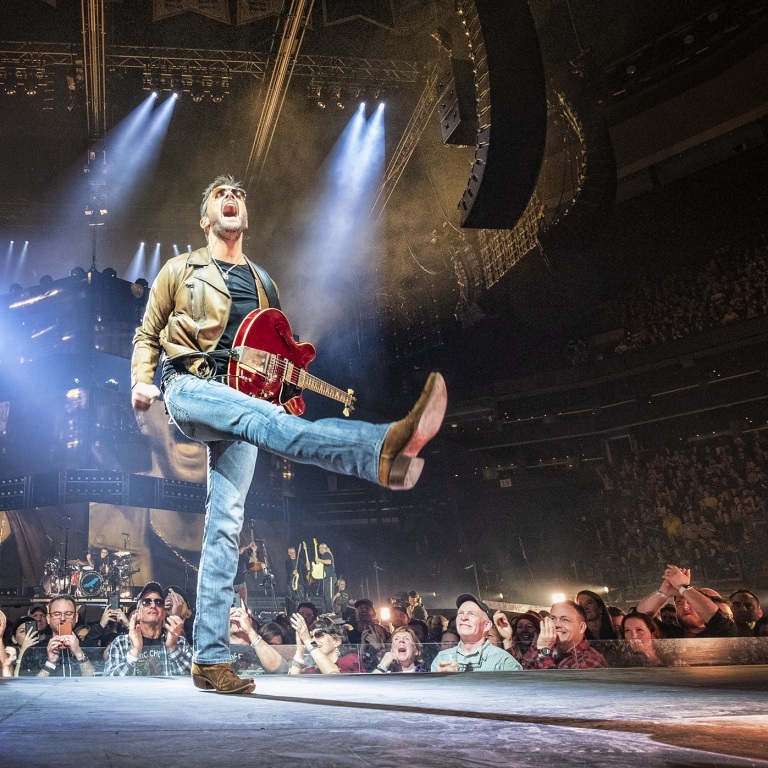 After a rousing start to his Double Down Tour, Eric Church spoke directly to his faithful Church Choir in a video message, announcing 13 added shows across eight cities (with multiple nights in select arenas) to his 2019 trek, Sept. 13 through Nov. 23, to follow the 19 cities previously announced this spring. Church himself has also made a point to surprise unsuspecting fans with tickets to the pit encapsulated by the stage itself at various shows, handing out passes on the streets of Boston and in the top rows of the arena in Minneapolis. A pit ticket pre-sale for all added shows except the Oct. 25 Little Rock, Ark. show (additional details below) begins on Tuesday, March 19 at 9:30 a.m. through the Eric Church Official App with an additional pre-sale for paid fan club members running from Tuesday, March 19 at 10:00 a.m. through Thursday, March 21 at 10:00 p.m. and tickets on sale to the general public on Friday, March 22 at 10:00 a.m. All times are local. As Church takes over each added city, there will continue to be many new and exciting events happening throughout as well as unique merchandise available. As in the past, fans have the opportunity to pre-order These Boots by Lucchese or to purchase their own pair on site in the venue concourses. New this year, Jack Daniel’s has debuted an exclusive Eric Church Edition Single Barrel bottle, available at select liquor stores along each stop of the tour with engraving trucks set up for fans to personalize their bottles. Proceeds from this bottle will help support The Chief Cares Fund. For more details on Jack Daniel’s locations and how to pre-order These Boots, be sure to visit ericchurch.com. Additionally, fans can prepare for upcoming tour dates with Apple Music’s new “Get Ready to Double Down” exclusive playlist and keep the celebration going all year long with “The Party Never Ends,” both available as part of a free three-month trial for new Apple Music subscribers (terms apply). For more information visit www.ericchurch.com, download the Eric Church Official App and follow on Facebookand Twitter @ericchurch and on Instagram @ericchurchmusic. **The pit ticket pre-sale for the Oct. 25 Little Rock, Ark. begins on Tuesday, March 26 at 9:30 a.m. through the Eric Church Official App with the paid fan club member pre-sale running from Tuesday, March 26 at 10:00 a.m. through Thursday, March 28 at 10:00 p.m. and tickets on sale to the general public on Friday, March 29 at 10:00 a.m. All times are local. 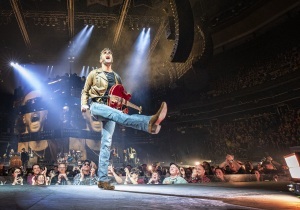 ERIC CHURCH SURPRISES FANS ON HIS DOUBLE DOWN TOUR AGAIN. Before he took to the stage for night two of his Double Down Tour in Minneapolis on Saturday (February 9th), Eric Church surprised a bunch of fans in section 227 of the Target Center to upgrade some lucky fans with pit tickets! 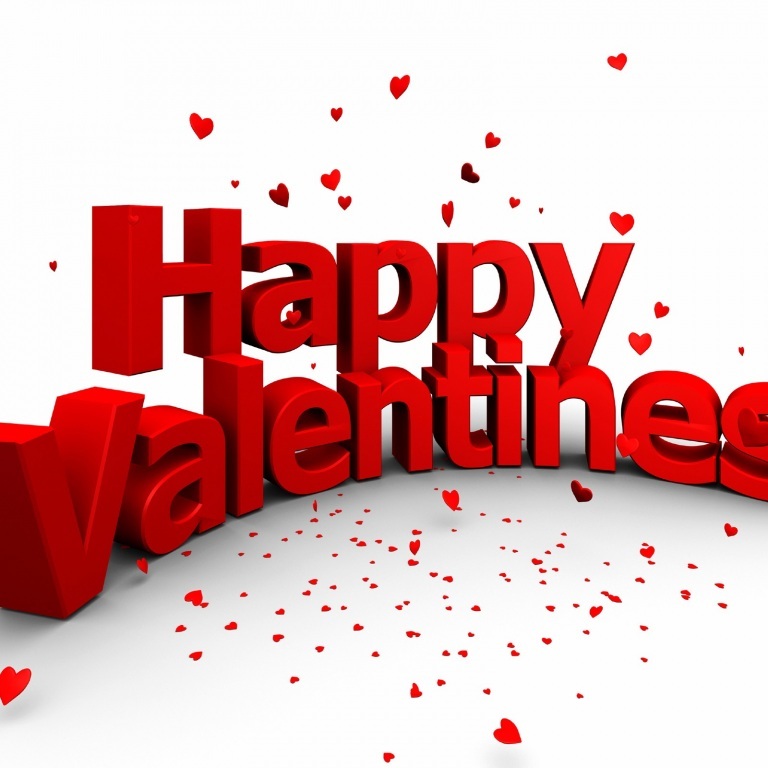 Eric takes his tour to Detroit next on Friday (February 15th) and Saturday (February 16th). He’s currently making his way up the country charts with “Some of It,” the latest release from his new album, Desperate Man.